Unless you have been living under a rock, you would be aware that the most talked-about lovebirds Virat Kohli and Anushka Sharma, or “Virushka”, got married last week in a well-tried-but-not-really hush-hush ceremony in Tuscany, Italy. Since it was attended only by close family and relatives only, the duo has also been partying and having multiple receptions in order to make EVERYONE, including the PM himself, revel in the moment. The festivities might have been completed for now, with the Indian skipper leaving for one of his most challenging conquests to South Africa, with lady-love and now-missus in tow. Amidst all this media and public frenzy, some marketers found the perfect way to cash in on the popularity and get some of their limelight with their quirky wishes and messages for the glam couple. Here are 5 such brands whose marketing teams are getting a nice raise for sure, this year! The usual suspects. Amul is known for its witty and hilarious posters that they conjure up in no time, related to any current affair. Couldn’t leave out the Marriage of the Decade, could they? When it comes to making unbreakable bonds, how could India’s most popular adhesive brand stay away, right? No surprises that Fevicol got into the act. Hopefully, the marriage will last as long as strong as some of their products. And even more! Two jokes in one tweet! That’s just as quick as the product the brand dishes out! In fact, the relationship seemed tailor-made for a Feviwik reference – with their instant connection after just one TV commercial together, and then staying strong right after. And bang on target did their marketing team nail it with this tweet! Virat is known to murder opposition bowlers and break millions of their fans’ hearts since nearly a decade. Anushka too, has had her own moments of slaying audiences with her performances. As a union too, the duo continued the massacre, this time by breaking a billion hearts who realized their dream girl/boy is now someone else’s ‘property’. And what soothes a broken heart better than some good ol’ icecream? And a note to all students of marketing – THIS, is how you build a brand! Making the most of even the most unrelated of events, even those that are not likely to add to your sales figures in the near future. Trust the power of the now-enhanced goodwill to help you paint a picture of your brand more favourable than your competitors. Get that edge over the rest. Always be on the lookout! Almost every group of friends has at least one of those “Man-U” or “Liverpool” (Chelsea peeps don’t get offended, eh!) fan who seems to be on an oath to eat, drink and sleep the said clubs. On any random given time, these fans can be spotted flaunting the merchandise of their respective favorite clubs. How and why? Welcome to the world of Sports marketing. A subdivision of marketing focusing on both, promotion of sports events & teams along with the promotion of other products & services. Generally, either a product or a brand name is promoted for the same. The basic goal is to expand the bandwidth of Marketing by building strategies to provide the clients with a platform for sports along with an opportunity for promotions of products & services. Sports Marketing is an element of sports promotion and includes a wide variety of processes involved in the sports industry like broadcasting, advertising, social digital media platforms, sales of tickets, and community relations. Along with the Traditional 4Ps of any general form of marketing, Sports Marketing encompasses 4 additional Ps. The reason for the same being that Sports is considered to be a service. The first is the advertising of sport and sports associations. The second comprises of the use of sporting events, sports teams and individual athletes to promote various products. The third category is the promotion of sport to the public in order to increase participation. In common terms, sports marketing refers to the marketing of sports leagues and teams. With the changing Global Scenarios, Sports Marketing is responsible for creating fan loyalty for organizations and that should be used effectively. Fan Attendance : Fans are the people who blow life into sports events. a Major League Baseball study found specific giveaway promotions had the strongest effect on fan attendance. Bobblehead dolls, for example, often are used as giveaways because of their ability to draw fans. Without them a stadium would look like a barren land in Arizona or The Thar (keeping in mind that we have Indian folks reading it :P). Season Ticket Sales: Selling season tickets is the most integral foundation of any professional sports team. Studies of both Major League Baseball and National Basketball Association teams found that roughly one-third of ticket sales take place at stadium gates, compared with about 25 percent at more commercially successful National Football League stadiums. Loyal season ticket buyers create more interest from media coverage and hence need to be focused on. New Product Launch or New Market Penetration: When launching a new product, A brand’s prime need is to drive excitement and awareness through multiple marketing channels to get as much attention and sales as possible. And here Sports Marketing comes to the rescue in providing a huge platform both in physical and digital form. Lack Of Technical Knowhow: Apart from major teams, most of these teams still are unaware of how to market themselves properly so efforts on those ground need to be made. Heavy Cost Incurred: Lack of knowledge leads to errors which in turn are the reason for incurring of heavy cost. Taking all the above into consideration, it can be well cited that Sports Marketing is a spreading its horizon very fast with Top Players signing Brand endorsement worth millions, that day is not far away from where we see Sports marketing becoming one of the most lucrative platforms for advertisements and promotions. Digital Marketing Guide For Beginners! Everyone, literally everyone is online today. With the evolution of technology, people are more switched on now than ever before. The smartphone revolution has empowered people with information at their fingertips. Study shows over 78 % of internet users carry product research online before purchase. Which means failure to integrate digital marketing strategy to the overall business strategy could prove to be disastrous for brands. It’s is imperative for these brands to keep pace with digital dynamism and get digital expertise on board. More importantly this hints at the need to acquire Digital Marketing skills as an individual has never been greater than it is right NOW! Neil Patel lambasted Wikipedia for providing a crappy definition and gave this – Digital marketing is any form of marketing products or services that involve electronic devices. They can be done both online and offline and their importance cannot be neglected to formulate a well-rounded digital strategy. The highways and roads were and are always adorned by billboards. Who can forget the 2015 billboard war between Audi and BMW? But do you really look at the billboards? “That’s the new Audi …. !” Before you finish reading the entire headline, the car would have already whizzed past. But be honest, how many times do you really look out? Aren’t we mere mortals trapped and stoned in the pleasures of the web? Monitor: With well-integrated analytic tools on digital platforms it is easy to track and monitor customer behaviour. These tools deliver precise real-time data which makes it easy to convert into meaningful insights. Affordable: A campaign on digital platforms like e-mail or social media will set you back by just a fraction of a cost as compared to traditional methods like print or billboards. Focusing on the online marketing technique, here are the 7 major ones TCF has listed to get you started in the field! 23% of the total time spent on the internet is spent on social networking sites. 4 of the top 10 websites in the world are social media websites. Need we say more about the importance of Social Media Marketing? Putting it in layman terms, Social Media Marketing is as simple as marketing on social media platforms to drive desired customer action. A few examples of formats & techniques used in social media marketing are Facebook Ads, Twitter Ads, YouTube Display Ads, Overlay Ads, Skip Video Ads, Re-targeting and plenty more which we will cover in a future blog. Unlike traditional market research methods, advertisers can use social media to obtain real-time granular information about consumer behaviour, helping with laser-precise targeting. The cost of advertising is the lowest on social platforms. These factors not only reduces the cost of acquiring a lead but also ensures marketing efforts are directed towards the right audience, hence improving ROI tremendously. Content Marketing is a hot topic but not a new topic. First signs of content marketing can be dated back to 5000 years B.C. reflected on cave paintings, which talked about ways to prevent a wolf attack. While our communication has progressed beyond cave paintings to digital platforms, content marketing still works on the same basis of driving value to the mass. By definition, Content Marketing is an approach of curating and distributing content – that is valuable, reliable and consistent – to attract and retain a set of customers – ultimately be able to drive desired customer action. Great content with an opportune mix of timing, audience targeting, distribution channels, amplification, seeding, and cross-promotion on multiple platforms does wonders! TE-A-ME, a Kolkata based tea company made the most of the content marketing by sending 6000 green tea bags to Donald Trump. We don’t know yet whether he drank the tea or not but #TeaForTrump went viral on social media like a frenzy! Here’s the link to the mastermind content marketing! You must have heard the word email marketing been thrown around on the internet or eavesdropped on an intense conversation between two marketing students on the topic. What exactly is e-mail marketing? Email marketing occurs when a brand sends a commercial message to a group of people through E-mail. More than 35% of the world population uses E-mail. That makes it 2.3 billion people on earth. What makes it more astounding is that email is highly underestimated medium but the most cost-effective for marketers. Direct E-mails: The purpose of these emails are purely promotional with offers, discounts and product launch updates. Newsletters: The goal of this email is to give consumers a sneak peek into the company’s products. Email Marketing is a great tool to have in your digital marketing arsenal. And if you master it, your personal brand equity will surely hit the roof. On Page SEO- On-page SEO is the practice of optimizing individual web pages of a website. These are done adhering to Google’s ranking factors such as headlines, internal linking, content, page structure and page load speed. Off Page SEO– The technique of making your website more authoritative on search engines by linking to other websites. The various ways to do this is via social media shares of your content, influencers sharing your content and guest blogging. To rank on the first page of Google and drive constant traffic to your website, you need to cater to both of these techniques. They are like Juno’s swan, inseparable! Note- This is an organic method of optimizing your website. results may take time to materialize. On an average 6-8 months. Search Engines (Google Adwords): These ads mostly appear on top of search results which comes with a tag as sponsored suggestion whenever a user types a related keyword. Check out the image below to get an idea. Display Networks: These ads are placed on websites which are relevant to the advertisers’ product or retargeted on websites where the user frequents. The advertiser pays an amount to the host website, every time the user clicks on the ad. For example, Imagine yourself reading about the new Padmavati trailer, an Amazon add pops up; selling you Amish’s Sita at a discounted price. You click on the add, purchase the book and to make the delivery free, add another piece! Amazon might have to shell out a few rupees for that one click but earned hundreds with your purchase. This is PPC. A lot goes into building a winning PPC campaign: from researching and selecting the right keywords, to sorting those keywords into well-organized ad groups and adding these ad groups onto meaningful campaigns . The more an add satiates the user, the lesser an advertiser pays for one click, to Google; this means profitable returns. Couldn’t find an Amazon add though! Other online PR best practices incorporate real-time marketing efforts, reputation management, word-of-mouth marketing and influencers marketing. As Neil Patel explains it- “affiliate marketing can be seen as the process of spreading product creation and product marketing across different parties, where each party receives a share of the revenue according to their contribution.” It has 4 core players – ‘merchant’, affiliate’, ‘network’ and ‘customers’. The merchants pay the affiliates for successfully marketing its product which is done through an extensive network ( viz., Amazon) and the customer ends up paying everyone! We are sure you are feeling all revved up and enlightened! Every perfect dish can give its credit, not only to the ingredients but also at what time they are added, the temperature at which it is served and the presentation! We say now is the perfect time to combine these variables and create your own digital ratatouille. Geofencing is the practice of using global positioning (GPS) or radio frequency identification (RFID) to define a digital geographic boundary which can be used for dissemination of data within that pre-defined territorial demarcation. Excuse us for the chatur-ish answer! Long story short – it means you can define a geographical territory and send a message or any data to people falling only within that area. “So? How does it matter to me? What do I do with this information?” Have these questions popped up in your mind? Nice, because honestly, we’d be disappointed if you didn’t! Geofencing, by its very elementary structure, opens up the avenue of target creation. As a layman, sample this – suppose you’re in a Whatsapp group, and someone comes up with a statement that you have a nasty comment to make on which you want to share with your best friend, but cannot make so in the group because of the fear of being judged by others. What would you do? Text your best friend on a personal chat, right? This way, data (your comment) reaches your target market (your best friend) without the risk of wastage (judgement by other people). In short, welcome to Geofencing. Imagine this – you enter a mall and are greeted with an SMS by McDonald’s about a new combo offer, or a new burger they might have introduced. You walk in and are immediately greeted with the ever-so-familiar yellow M sign. Your mind is already thinking about that offer listed in the SMS, and behold! Here it is in front you, your chance to try out that offer that McDonald’s has just tempted you for. You think about how hungry you’d get while shopping, and so, you tell yourself – “Ehh what’s the harm? Let’s try it out once”. And then you do. For McDonald’s, it’s Mission: Accomplished. Now here’s the part which makes geofencing interesting. Imagine if you were sitting at home, or at work, and had received that SMS. You would have thought to yourself – “Nice, but who will go all the way now? Maybe someday…” and shut goes the phone. The “someday” will almost never come unless someone is an absolute die-hard fan of McDonald’s. So that potential sale for McDonald’s will never realize. In this way, McDonald’s would have texted a thousand people but only got additional sales of say 100. The rest 900 is a wastage of resources for McDonald’s. Compare this with geofencing – where McDonald’s would only have to text the 300 people entering the mall and like you, a hundred, if not more, would be lured into sales. Thus, not only improving the sales but also reducing the wastage of 900 texts. Once again – Welcome to Geofencing. It is clear that mobile data usage is at an all-time high, and that the figures are only burgeoning by the day. What’s more exciting, is that a tool as potent as this is being resorted to by barely 39% of all marketers. This gross under-utilization has thus created a take-as-you-come situation for new marketers. What’s more, is that it does not require much of investment. All you need is data gathering – phone numbers of people/social media preferences, etc as well as the services of a tech-guy who can help you install this geo-circumference. Now that you’re in a position to say with confidence that you understand geofencing, let’s take this a notch up. This “type” works on the principle of tagging the potential buyer/consumer. It locates the person(s) on a real-time basis and provides them ads about the location they are in currently, depending on weather, local events, specialities of that location, etc. E.g. when you travel to a place where it might be raining, a local beverage store may send you ads and texts convincing you to consume their hot delights. In this, a marketer tags a fixed, physical location, and all people in the set vicinity of the location will be targeted with the required ad/message. The McDonalds example above is a case of geo-fencing. This is where it goes all down and dirty! Here, a marketer tags the location of his rival(s), and every person entering the vicinity of the rival is targeted. E.g when you walk into a Maruti showroom, Hyundai may send you a message about cars of Hyundai that may be competing with Maruti, tempting you to compare and decrease the possibility of buying a Maruti product. So now, you’ve heard all arguments, seem pretty impressed by the idea, but something is still lacking? We know it. You do not want to be the fool who tried something new and failed at it, do you? Fret not, some biggies have already taken the plunge, and are reaping the harvest of lip-smacking profits. DD wanted to boost sales of its unit located inside a rural gas station. Adopting geofencing, DD ran mobile display ads between 4 and 5 miles around the location. It also built a custom landing page with a coupon embedded and links for customers to be able to share the coupon with friends via social media. A navigation map was also linked, along with a reminder triggered upon reaching the location. The result? Over a 4 day period, DD registered 164 customers click to get the coupon in the target radius. Uber uses geofences at Los Angeles International airport so that when users arrive at the airport they are notified about the number of cars available to meet their needs. It proves that thinking about ways to let your customers know you have what they need, as also when they need it most, is a great way to use the geofencing capabilities of your business’ mobile app. You need to stay competitive, and a lesson from Uber’s proactive geofences can certainly put you ahead of your competitors. 3) BMW has also employed geofencing into their mobile business plan—in a rather different manner than the rest. Where most companies are using geofencing as a tool for garnering consumer attention with flashy promotions, BMW’s use is a little more pragmatic. BMW incorporates geofencing in their BMW Trackstar and BMW Trackstar Advance services. After the activation of this service, your car’s position is pinpointed every 20 seconds. If the car is moved without the use of its keys, and the car moves out of a designated geofence, it will notify BMW who will then reach out to the car’s owner. This is a brilliant example of providing value-added services for customers (theft protection), thereby contributing to customer retention and free word-of-mouth publicity by satisfied consumers. There you go. A wiser man than before, a more-equipped marketer than your counterparts. With geofencing on the rise, the ride is about to get a lot more exciting! As a consumer, get ready to be treated like the King you deserve to be, get pampered like the child inside you has always yearned to be. As a marketer, correction, AWARE marketer, with the weapon of geofencing in your artillery, get ready to have those cash registers ringing and bank accounts swelling! When we talk about branding, and logos, it is more than looking at colours, fonts, shape, and graphical elements. The logo communicates a lot more than a pretty, eye catching design. A good logo, communicates the core values and the message of this company. This great adweek article, talks in detail about the four core communication goals of a brand : the first is to communicate personality (friendly, fun, strong etc), the second is uniqueness, then there is currentness (i am with the times), and lastly it communicates that it knows it’s audience. Very often clever designers leave a hidden meaning in the logo. The lines in all logo versions represent an eternal movement straight ahead and toward the victory. The variant most used looks like a mountain – that represents achievement. This ..logo is supposed to resemble a mountain, like it is challenging the people who buy Adidas products to push themselves to their limits. This latest logo appears on many pieces of sports equipment and the new logo is still instantly and obviously “Adidas” to anyone who sees it. One of the most famous logos in the world, the amazon logo has a hidden meaning. The arrow moving from a to z, tell you the range of products that amazon has (from a to z), the yellow curved arrow represents the smile of customer satisfaction. Dabur is one of the best known health brands in India – focusing primarily on Ayurvedic medicines, and health supplements. The logo symbolises well being, and good health. The Tata logo stands for fluidity. It may also signify a fountain of knowledge, or a tree of trust under which people can seek shelter. The blue color in the emblem represents prosperity, reliability and strength. 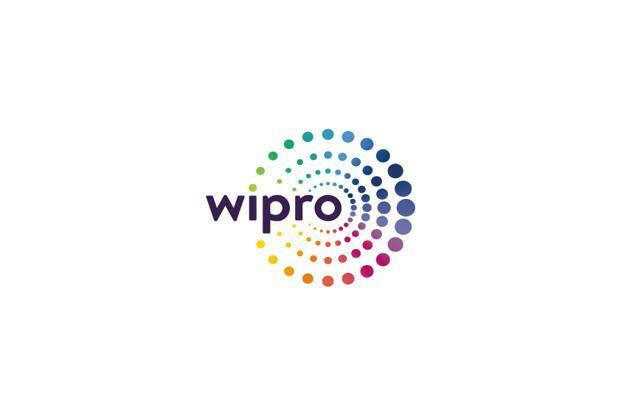 Building on the universal form of the circle, the radiating rings of dots around our Wipro name suggest all the many connections that our brand creates for our customers. Together, they convey a sense of outward motion, propelling us into the future that we define together. The colors of our brandmark also speak to our character – highlighting our reliability and authority.